Fortunately, though, there are some great ways to make your Facebook page stand out both in appearance and interactivity by shaking up the content a little bit. One of the easiest ways to add more and better content is to create custom tabs, which will allow you to share more information and make your Facebook page almost like a miniature website, with navigation possible through the tabs. Many websites are now using introductory videos to explain their business or product to customers, and this is going to become a more common trend on Facebook pages as well in the future. If you already have your video, it can be pretty easy to get it embedded into your Facebook page and may give you a chance to get your message out to more users. If you have a Facebook page and a lot of likes, but can’t figure out how to convert them into business, then maybe some forms to help you generate leads are just what the doctor ordered. Sometimes people are less likely to click on links to products on Facebook, as they are not in a buying mood when they’re on Facebook. They tend to be more interested in communicating with others, perusing information and learning about cool new things. Try to tap into those thought processes by using a form to collect contact info and get your customers subscribed to your newsletter. You can then market to them from the newsletter, giving you another avenue of trying to generate leads and create sales. Some businesses have a hard time getting their customers engaged on their Facebook page and getting them to comment or share different information. People love polls, so setting up some voting on your page can be a great way to engage users. This is particularly true if you can get your Facebook fans interested enough in the poll to want to check back and see who wins. This gets them onto your page over and over, which gives you more opportunities to engage them or sell to them. You can also add images or video into the poll to combine some multimedia with the voting for even better interaction and engagement. Sometimes it is actually easier to monetize the Facebook page itself, but as you already know, people on Facebook usually aren’t there to do shopping. 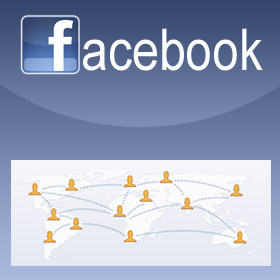 However, if you offer them interesting deals that they can only get through Facebook that may change. They may not only be more inclined to throw down some money, but they may check back to your page more often looking for other promotions. This is now an easy feature to set up with third party solutions, and you can link the payment directly into other sites such as PayPal. In essence, you can have a tab on your Facebook page that is almost like your own personal Groupon or Living Social, providing deals to customers that they have to pay for up front. Obviously there are a lot of creative ways to utilize your Facebook page to generate sales leads, make some money and engage your customers. It really just comes down to putting in the time and effort to come up with ideas and see what’s available to add in.